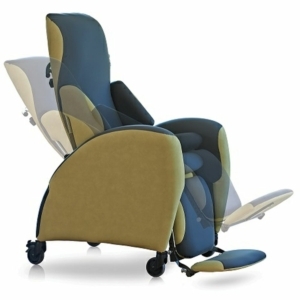 Comfort, pressure relief, posture control and independence are all at the heart of Millercare’s specialist seating range. With a selection of the best Kirton seats to choose from you can guarantee that the ultimate comfort is provided with these chairs. One of the main issues when sitting or lying down for long periods of time is the discomfort caused by skin and soft tissue damage. Soft tissue damage happens when the soft tissues are compressed to the point where circulation stops, this can result in pressure ulcers and can be made much worse by factors such as incontinence, immobility, sensory impairment and age. 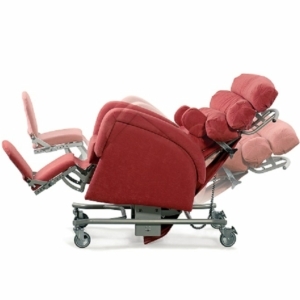 Whether you’re looking for chairs to alleviate muscle and joint problems, multi-adjustable seating, or dynamic chairs that offer more support, shop our range of high quality and professional models now and rest easy knowing Millercare has your ease in mind. The majority of the population assume an incorrect sitting position, and it’s natural that our body will slump and change position regularly. But these poor sitting postures and unsuitable seating can develop and exacerbate both physical and medical conditions. 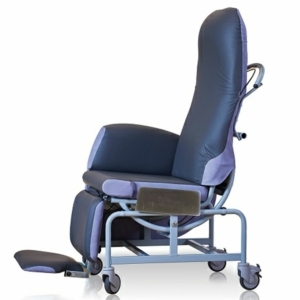 With Millercare’s range of specialist seating, these will provide a supportive position and assist in some cases with positional changes. These Kirton seats will support a significant proportion of the body to help give maximum stability in a well-balanced posture. Dynamic seating offers a range of adjustments to tailor the chair to your physical requirements, preventing a fixed shape that you have to sit in. This ensures that posture and body weight can be adjusted throughout the day to prevent pressure build up in isolated areas. Chairs designed for neurological conditions, like the Omega, offer specific support whether you’re undergoing rehabilitation, or for those with Huntington’s disease and other conditions where strength and safety are key. Generally, for the greatest comfort and stability, a chair should enable you to have their hip and knee joints bent at 90°, with your feet resting flat on the floor as this allows the weight to be distributed evenly through the buttocks and thighs, rather than concentrated in the pelvic area. With a range of features to choose from, you can guarantee that you have the correct functionality for your needs. Tilt-in-space will aid your posture and pelvic stability, pressure management, access for hoisting and transfers, as well as reducing 24/7 bed care. Whether you choose manual or electric they increase the range of positioning options to give ultimate support. An elevating footrest or leg rest can assist with lymphatic and blood circulation and aids relaxation. Lifting and straightening the knees has the effect of allowing the blood to circulate more freely, reducing the effort required by the heart and arterial systems. Raising the legs can also help alleviate leg oedema, a build-up of fluid in the legs. Pressure management is an important consideration for individuals and this specialist seating can help with pressure care management too. Combining the appropriate functionality and features, the line of Kirton seats, available now from Millercare, all offer support, comfort and independence for the user as well as well-balanced posture. 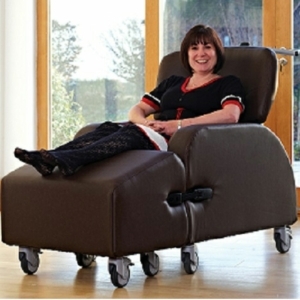 With prices starting from £1085 shop the range now and minimise the occurrence of undesirable postures and discomfort.